Department of Manufacturing Technology is on the ground floor of the Faculty of Mechanical Engineeering in Dejvice, Technická 4, Praha 6. 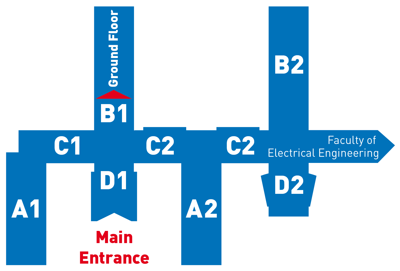 Enter by the main entry, go through the corridor to the corridor B1, tight opposite the entrance. And there is the Department of Manufacturing Technology.